The plan by the Central Bank of Nigeria (CBN) led by Mr. Godwin Emefiele to relax the rule shielding mobile telephony companies and grocery shops (supermarkets) to participate in the business of financial services is part of the revised strategy to achieve the goal of financial inclusion faster in Nigeria. The mobile telephony companies and supermarket shops will now be allowed to take deposits, move cash, but lending remains the exclusive right of banks. Meanwhile, banks still have some shelter from full-blown competition as the new policy wonâ€™t enable licensees to lend, pay interest or accept foreign-currency deposits. It also requires that at least one quarter of access points be located in rural areas, which are currently under served. 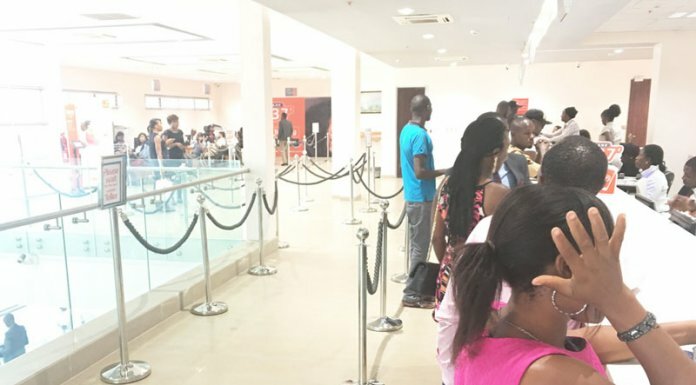 As part of its revised strategy to achieve financial inclusion, the CBN said emphasis had drastically shifted to mobile money/bank agents in view of the fact that this brings financial services closer to the people and provides platform for offering simple diversified low cost financial services across the broad spectrum of excluded population in Nigeria. â€œThe 2020 target for agents was 62 per 100,000 adults in the 2012 Strategy document. However, considering the shift from physical bank branches to branchless banking globally, this revised strategy considers increasing the agent target from 62 to 476 agents per 100,000 adults by 2020. The justification for this new figure is based on recent developments in the financial sector aimed at taking financial services to the unserved and under-served using branchless platforms such as agent banking and digital platforms. It is estimated that at least 500,000 agents should be available to serve about 105 million adults population in Nigeria by the year 2020. This gives about 476 agents per 100,000 adultsâ€, CBN revealed. The bank says five priorities will be most crucial to increasing financial inclusion in Nigeria and they are to create an enabling environment for the expansion of DFS; enable the rapid growth of agent networks with nationwide reach; harmonise Know Your Customer ( KYC) requirements for opening and operating accounts/mobile wallets on all financial services platforms; create an enabling environment to serving the most excluded and Improve the adoption of cashless payment channels, particularly in government-to-person and person-to-government payments. Financial Inclusion is a state, where financial services are delivered by a range of providers, mostly the private sector, to reach everyone who could use them. According to financial experts, it enables the government to reduce the gap between rich and poor population as financial institutions are the robust pillars of progress, economic growth and development of any economy in the world. Encouraged by the positive development in the Nigerian financial space, the CBN in collaboration with stakeholders launched the National Financial Inclusion Strategy on October 23, 2012 aimed at further reducing the exclusion rate to 20 per cent by 2020. Specifically, adult Nigerians with access to payment services is to increase from 21.6 per cent in 2010 to 70 per cent in 2020, while those with access to savings should increase from 24 percent to 60 percent; and credit from two per cent to 40 per cent, insurance from1.0 percent to 40.0 percent and pensions from five percent to 40 percent, within the same period. The targets were based on benchmarking exercise carried out with peer countries, while also taking into consideration critical growth factors in the Nigerian environment. So far, the CBN in its determination to achieve the set goal for financial inclusion by 2020 has released the framework for the implementation of a couple of major tools to drive the strategy which include Agent Banking; Know Your Customer Requirements; MSME Development Fund; Financial Literacy and Mobile Money Operation. â€œThe Bank is working on the framework for consumer protection and has set up a Financial Inclusion Secretariat to coordinate the implementation of the Strategyâ€™, CBN disclosed. A key strategy of the CBN to drive financial inclusion in Nigeria is to strengthen the microfinance sector. It expects that the microfinance institution will cover the majority of the poor, but economically active population by 2020 thereby creating millions of jobs and reducing poverty. â€œIt is also expected that the activities of the banks will increase the share of micro credit as percentage of total credit to the economy from 0.9 per cent in 2005 to at least 20 per cent in 2020; and the share of micro credit as percentage of GDP from 0.2 per cent in 2005 to at least five per cent in 2020; promote the participation of at least two-thirds of state and local governments in micro credit financing by 2015; eliminate gender disparity by improving womenâ€™s access to financial services by five per cent annually; increase the number of linkages among universal banks, development banks, specialised finance institutions and microfinance banks by 10 per cent annuallyâ€, a statement from the Other Financial Institutions Department (OFID) of the apex bank said. There are indications that the efforts of the CBN and other stakeholders in the financial industry towards achieving the 2020 target for financial inclusion are already yielding results. Recent statistics from the CBN showed that the percentage of Nigerian adults that were served by formal sector service providers increased from 36.3 per cent in 2010 to 43 per cent in 2012, 48.6 per cent in 2014 and remained at that level in 2016. The population that is banked grew consistently from 30 per cent in 2010 to 32.5 per cent, 36 per cent and 38.3 per cent in 2012, 2014 and 2016 respectively. The formal sector including the microfinance banks, insurance companies, pension funds and similar service providers grew between 2010 (6.3 per cent) and 2016 (10.3 per cent). The informal sector (Non-Governmental Organisations (NGOs) and financial cooperatives) declined from 17.4 per cent in 2010 to 9.8 per cent in 2016. This showed that more Nigerians are now using formal financial services as envisioned in the Strategy. In 2016, 58.4 per cent of Nigeriaâ€™s 96.4 million adults were financially served leaving 41.6 per cent financially excluded. The proportion of those, who were banked was 38.3 percent, those in the formal other category was 10.3 per cent and those served by informal sector 9.8 per cent. This shows that only 48.6 percent used formal services compared with 70 percent that is targeted in 2020. Also, the Nigeria Inter-Bank Settlement System (NIBSS) data on Industry Customer Bank Account data showed that the number of bank accounts rose to 115.2 million in November, 2018 from 100.2 million in December 2017, representing 15 million or 15 percent increase. On a month-on-month (MoM) basis, number of bank accounts opened increased by 0.5 per cent or 600,000 in November to 115.2 million in November from 114.6 million bank accounts at the end of October 2018. A breakdown of bank accounts opened from December 2017 to November 2018 showed that the number of new savings accounts rose by 16 percent or 12.2 million to 87 million in November 2018, from 74.6 million in December 2017. The number of current accounts grew by 11 percent or 2.6 million to 25.16 million in November from 22.6 million in December 2017. Further analysis revealed that the number of active bank accounts rose by 18 per cent to 74.7 million in November, 2018 from 63.5 million in December 2017. Meanwhile, experts have projected further growth citing the Shared Agent Network Expansion Facilities (SANEF) initiative of the Bankers Committee and the improved economic growth as the nation sustain its recovery from economic recession. The major goal of the revised strategy for financial inclusion is to reduce the proportion of adult Nigerians that are financially excluded to 20 per cent in year 2020 from its baseline figure of 46.3 per cent in 2010. According to the CBN, the two overall financial inclusion targets were 80 per cent overall (formal and informal) financial inclusion and 70 per cent formal financial inclusion by 2020. There were 15 additional targets for channels, products and enabling environment as well as 22 key performance indicators (KPIs).